We light this chalice as a symbol of our faith, and a reminder of the spark of divinity within each of us. Sometimes the sermon that you have taken the time to prepare and expect to deliver turns out, as a result of changing circumstances, to not be the sermon that is needed on a given Sunday. Today is just such a Sunday. This has been a difficult week for so many. Those affected by the hurricanes and fires of the last month. Those affected by the violence in Las Vegas this week. No – tragedy is the hurricanes, the earthquake, the fires. out of our human capacity to control. Tragedies are the things Mother Nature delivers upon us. Rain does not seek to immobilize the bees. Hurricanes are not on a mission to take human lives. And so when they do – it is a tragedy. That requires another word – a word that remains elusive, yet describes in full the intention behind the act and the pain it causes. even though we don’t yet know how it will. Today I will be speaking about trees. And about what happens next. What happens – – – Afterward. And about how we can prepare in advance for the Afterward. “God, make me an instrument of thy peace! She is talking specifically about writers, and in a larger way about artists. I feel it applies to all of us who are weaving our way through life with mindfulness. are beneath the ones that are apparent. that draws us together in times of joy and in times of sorrow. and strategizes how to deal with either. creative and destructive in its power. Even as we humans can choose to be creative and destructive in our power. Seemingly contrasting, yet it is the very nature of our lives to discern how to navigate such worlds. and carried, by those we share our lives with. destructive or creative use of our power individually and collectively. on our paths towards wholeness and healing. The Afterward comes at so many times and in so many ways. Experience the pain, the turmoil and grief. Consume the uncertainty until you extinguish it. It may happen in an instant. That’s the magic of The Afterward. Take every ounce of the Afterward that you can grasp. Rather, loosely – like picking wild flowers from a field. You need to go into the Afterward. It is sometimes necessary to stay there for a time. Find it; hold it and let it hold you. And know that help is near. Take comfort when it comes. Accept that there is more than the Afterward. because we are part of each other. Serve each other and serve the world. And our wings setting us free. Yes, in this way we can Be Like the Trees. Letting go when it’s time. Standing tall ’til the end of your days. Breathing and transforming the environment. to all who are so fortunate to be in your presence. yet ever aware of our place in time. 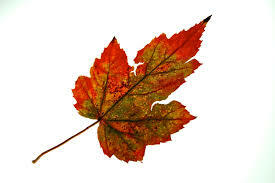 We are in Autumntime, the season that resonates all senses with its transition. reflected in the shortened days. Be like the trees and live each season as it passes. Be strong enough to act on it. In 1997 Julia Butterfly Hill found her tree. a 200 foot tall ancient redwood that was slated to be cut down. and stayed there for more than 2 years. She refused to come down until Luna was permanently protected. and in the face of death threats by the lumber company. She lived on a tiny platform in Luna’s branches for 738 days. and a 3 acre buffer zone around the tree. to fulfill the purpose of? and Luna’s family: the Redwood Forest. as well as offers tools to support those who wish to follow their own heart’s calling. and also in spiritual fulfillment. •People who want a deeper sense of purpose and stronger focus for their lives. •People who want to make a difference in their community or in the world but aren’t quite sure where to start. •People who have been making a difference for a long time and are burnt out, overwhelmed or who may be losing their passion. if they are in a community of like-minded people. What purpose are you willing to use your life to fulfill? for us to look to whenever we are making choices. and in our families and close circles of friends? Be like the trees and have strength. and sometimes the world fails us. may we strive to realign with it. Be like the trees and have roots. to be able to have inner strength and support systems when storms come, when tragedy strikes? our thoughts, actions and deeds. and our ability to persevere. Even as they speak to the other inhabitants of this underground world. Be like the trees and keep our lines of communication open. Signaling them to provide for each other when they are in need. which are involved in the communication system. Do we ensure Love and Grace are in symbiotic function to our lines of communication? Be like the trees and be flexible. and in the ways we approach challenges? Be like the trees and let go. Just as the tree lets go of its leaves in Autumntime. are we open to letting go of the effort to be right? in order to make way for something different than we had imagined? when its season has passed? Be like the trees and breathe. For there are challenges that we can never make sense of. The frustrations of a system that cannot at present keep everyone safe. that we cannot begin to comprehend? And what of the comfort, and the artistry, of trees? Be like the trees and provide shelter, and a place to call home. In what ways do we offer comfort and beauty and sanctuary? To each other and to our larger community? In what ways do we allow our radiance to be revealed? Our branches to be open in welcome to shelter all those who are seeking it? Be like the trees and stretch. the Love and Grace of our Faith? the Love and Grace of our Faith to the World? That’s for each of us to determine. 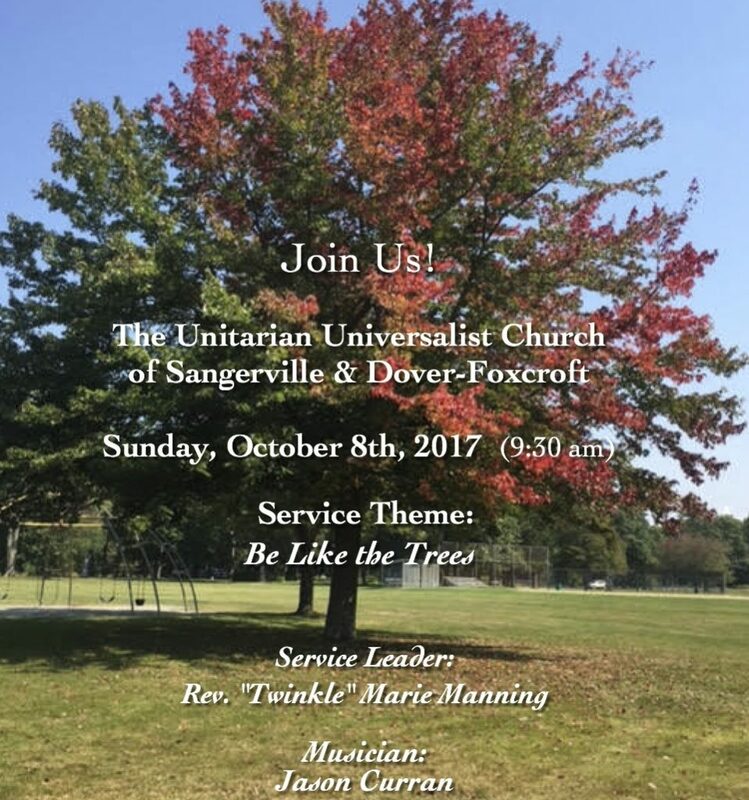 Unitarian Universalism has claimed the Tree of Love. Yes, Standing on the Side of Love – that’s OUR TREE. and, how Unitarian Universalism can claim us. that’s how we move through it. And bring Love and Grace to the world in times of tragedy. And how we bring Love and Grace to each other; and even when we are standing in front of our mirrors. May we remember our covenants of love. to begin anew when what we have known has crumbled. May we nurture and comfort each other. be consistent with the outcome we desire. and behave in a way that shows we do. Love prevails when we speak for love. When we stand for love. When we act for love. May we cradle the hearts of the heart-broken. where all are welcome and free and safe.